When it comes to building a website, there is so much to think about, and certain important aspects can get overlooked. When I built the-pixel.com, I did my research, and understood what was needed, and what to avoid. Keep on reading to find out my 15 biggest mistakes to avoid when building a website. When building a website, it’s the same idea as opening a store, restaurant or any other kind of business; you need a plan. You must understand your target audience, your USP (unique selling proposition), how you are going to promote your website, and further growth. Each stage of developing a website needs a lot of research and without doing this, you will be blindly building a website and hoping that it is what your audience want, without knowing so. 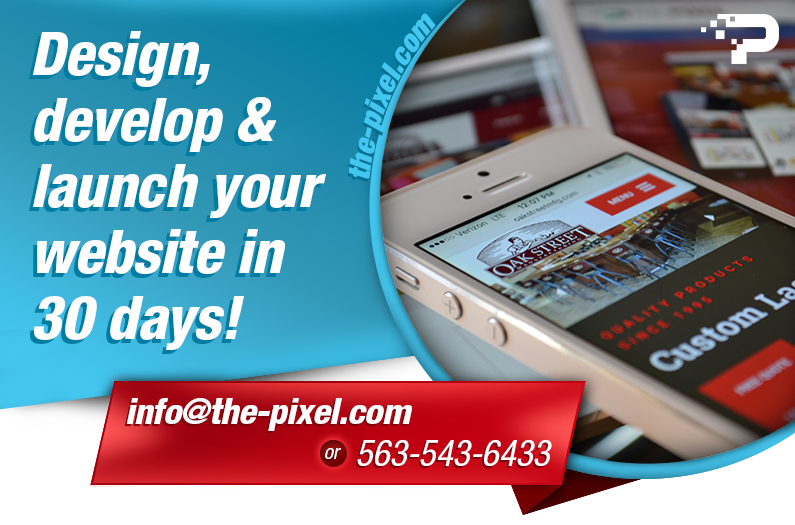 Not having a website plan is one of the biggest mistakes to avoid when building a website. Solution: it’s simple really…create a website plan. Solution: do your research, and find a domain name that defines your business and is consistent with your online message. When looking at mistakes to avoid when building a website, having a cluttered homepage is definitely one of them. As there is so much content online, website visitors have little to no patience so if the first thing they see when the come to your website is a cluttered homepage, the will be gone before you can show value. Solution: KISS it. Keep it super simple. 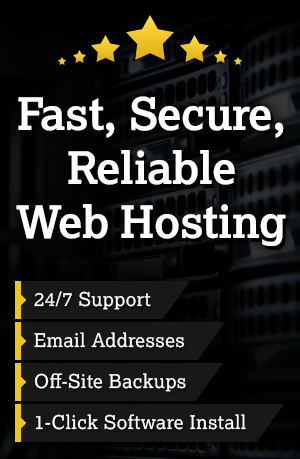 Having slow servers means that your website’s load time will be negatively impacted. It has been reported that on average, a potential prospect will wait for a website to load for just four seconds before “bouncing”. Solution: look at the size of your images the widgets you are using and, the hosting plan you are. This is one of the biggest mistakes to avoid when building a website. Over 60% of all online searches are now through mobile and 80% in social media. It’s not just about choosing a mobile-friendly template, you will need to think about how the layout of your website translates to mobile so that it is giving the same seamless journey. Solution: when building your website, always look at it through mobile to make sure that the message translates. Solution: only add the widgets that you know you are going to use, and will help you grow your business online. When choosing a widget, make sure it is responsive, can be styled to match your website and is secure over HTTPS. I have seen this time and time again, which is why it has made my list of the 15 biggest mistakes to avoid when building a website. Having a contact page on your website is so important. If a user wants to contact you, but they can’t easily navigate, or find your contact page, they will leave. Solution: make a contact page, and have it on the menu bar at the top of your website, and always keep this information up-to-date. We all want our website to look amazing, have the best functionality, and compete with our biggest competitors as we think this is what will get us sales but in actual fact, this is far from being true. When you are building your website, you do need to put your audience’s needs before what you want because they are the ones who will be purchasing from your business. Solution: do your research, and find out what your target audience wants from a website, and combine your design aspirations with this in mind. The dreaded “404” pages are asking for your website visitors to leave your website immediately. When building your website, make sure that all of your links are functional. Solution: include a “contact the webmaster” link in your website’s footer so that a user can let you know if they find a broken page. I see this time and time again with websites, and it is one of the biggest mistakes to avoid when building a website. If you are going to use visuals to display your content on your website, make sure they are high quality. Solution: if creating visuals are not something you have the time for, or can do to a high standard, find someone that can. Your website will be in essence, an archive of information, so if a user can not navigate through the use of a search bar to find the information they want, they will not spend their time scrolling through your website trying to find it. Solution: copy the HTML code from your control panel, and paste it into your website to give your users the searching functionality they need. Whilst SEO is an ongoing process, it is so important that when building a website, this is something you consider doing your research on. For your website to be found in search engines, you do need to have metadata that uses your keywords, and is based on how your audience searches for your products/services. Navigation is one of the biggest mistakes to avoid when building a website. If links are hard to find, and buttons are not visible, your visitors will go through your website in circles. Navigation is simple, so don’t overcomplicate it. Solution: use your main menu as a way for you audience to navigate. Use simple text, and avoid using anything too high-tech, especially if your target customer is someone who is not tech-savvy. 51.9% of marketing professionals worldwide name video as the type of content with the best ROI. If over 50% of marketing professional say this, then Video should be a huge part of content on your website. Solution: when creating video’s always edit the video to add text onto the screen using a tool like iMovie Maker, or Windows Movie Maker. If you want someone to sign up to receive email marketing from you or you want someone to share your content with their audience, call-to-action buttons need to be integrated into the build of your website. Solution: add at least one call-to-action button/image on each page to encourage click-through traffic.